One of our favourite shops in the world is Granny Goose®, so it’s only natural that we would let our Brides-to-be in on a secret … Granny Goose have a Wedding Gift Registry that will make you swoon. Imagine snuggling into the most luxurious down duvets swathed in 100% cotton linen with your beloved … what a fabulous way to start your marriage! Apart from the wide range of Granny Goose products available, Granny Goose have also teamed up with a number of excellent suppliers of all the things you would want included in a wedding gift registry. These include Legend SA, Russell Hobbs, Maxwell & Williams and Eetrite Cutlery. So they can offer you a very exciting and comprehensive variety of products from which you can compile your Wedding Gift Registry. From home appliances, kitchen utensils, glassware, cutlery and crockery to their sublime range of duvets, bedding, linen, towels and accessories, you’ll find all you need to set up your new home together. We love the quality of all the Granny Goose products – we are addicted Granny Goose shoppers here at TieTheKnot! Right now I’m loving their Cotton Throws available in gorgeous shades of pink, denim blue, taupe, white and more. They are simply gorgeous and of the best quality! “At Granny Goose we love weddings and would love to be a part of your special day. We have a proud track record, not only for the premium quality of our products, but also for meticulous attention to detail and prompt, efficient service”. So what are you waiting for? Head over to the Granny Goose Gift Registry website and start exploring all the options! 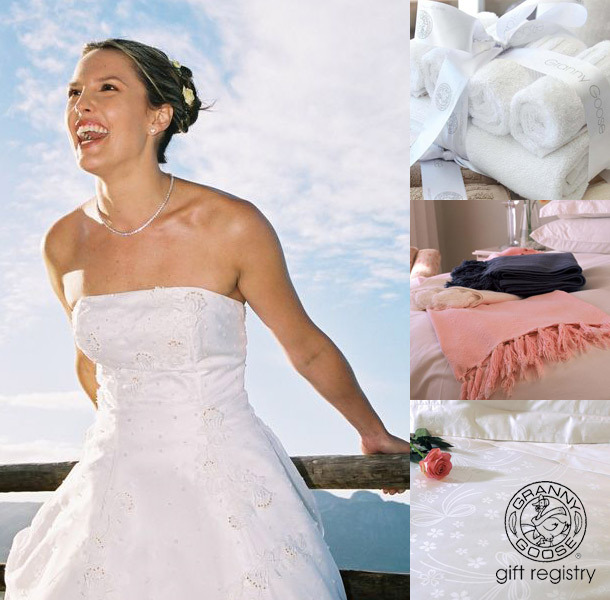 Guests can purchase gifts or gift vouchers by email, phone or fax or by visiting one of our Gift Registry showrooms. We accept credit cards, debit cards and direct deposits. If you have any questions about setting up your Gift Registry on the Granny Goose website, contact Gaby on 082 515-1163. Pop in for a relaxed cup of coffee at one of our participating showrooms (Claremont and Bryanston) where we look forward to assisting you in selecting your wedding gifts. The service is by appointment only which guarantees you personal attention at a time that is convenient to you. You are also welcome to call Gaby on 082 515-1163 for a telephonic consultation if you prefer not to go to the stores or live outside of Cape Town or Johannesburg. Looks great. I’m in the Eastern Cape, can I use it too? 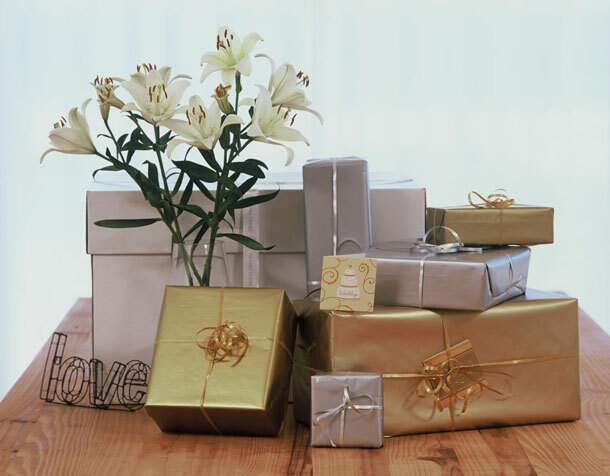 I will check it out, I did not know that they have a gift registry! YAY! !